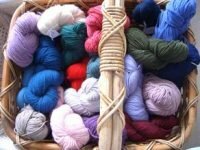 Here are some great knitters resources for you to use. There are lots of links for you to find more great patterns, yarns, tools and books to help you along the way. I have affiliate relationships with some of these suppliers - after all, this site has to be funded! and these are noted. Clicking on these links will help me to continue to expand this site. If you have a suggestion for an addition to this page, please send a note to Peg at tricks and I'll add it as soon as I can. So much yarn - so little time! Amazon has great books, limited supply of knitting yarn and tools. Yarn store in Galena, IL with US and Canadian shipping. Go socks! Superb yarn in lots of colours, fibres and weights, specializing in smooth yarns. Wide selection of tools, books and indie patterns. Fast delivery and very reasonable prices. Comprehensive mail order site for an amazing array of yarns. Lots of British brands. 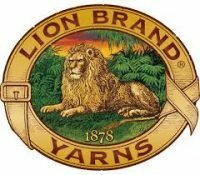 Source for original 5 ply Guernsey wool. Based on the UK. Great source of fine yarn, knitting tips and free patterns. Get on their mailing list! Lots of sock yarn. Nice selection of classes, especially for beginners. Pleasant location in Fonthill, ON. Source of indie patterns. Publishes quarterly? Blog and tips. THE Canadian source for indie patterns. THE source for all things knitting. 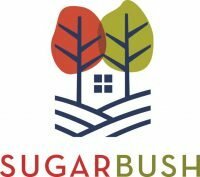 Go get an id on this site if you do not have one!